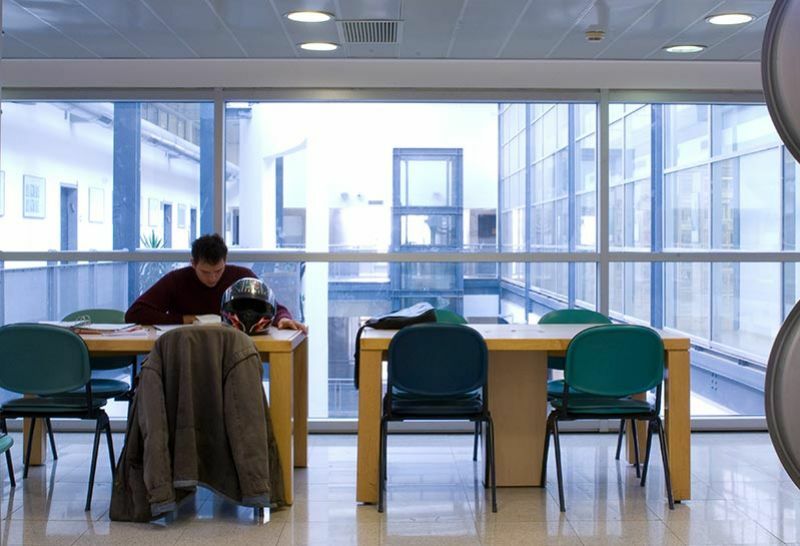 The Isaac Shavit Library is located at the Be'er Sheva campus and includes the collection of books for borrowing, reference books, reserved books and the Chase Library which serves as a study area. The library has a total of 270 seats for students and faculty members. It spans and area of 1,800 sq.m and makes use of the natural sunlight illuminating the space during the day. Panoramic views of Be'er Sheva and the vast Negev desert landscape can be seen from the library, offering a stunning backdrop for reading and working. The Jabotinsky Library is situated at the Ashdod campus, and includes the collection of books for borrowing, reference books, and protected books, as well as the Bnei Brit study area which contains the Preparatory Academic Program books and a small selection of reserved books. This library has a total of 62 seats, with an additional 115 seats available in the Bnei Brit Library. Studying at each of these libraries may be conducted in groups surrounding large tables, or individually in personal study cubicles. The areas are spacious and provide a pleasant atmosphere and learning environment. May of our students often prefer to study in groups, and therefore "study discussions" are allowed in the library, and even recommended. First time visitors are usually surprised to hear the "humming" of students studying together. Those who prefer to work in silence can do so in any one of the designated silent areas. Wireless internet access is available throughout the entire campus, enabling students to work at the libraries with their personal computers. They are also welcome to use the computer work stations, printers, scanners and copying machines set up for their convenience.